Vibrant poppies intertwine with one another. 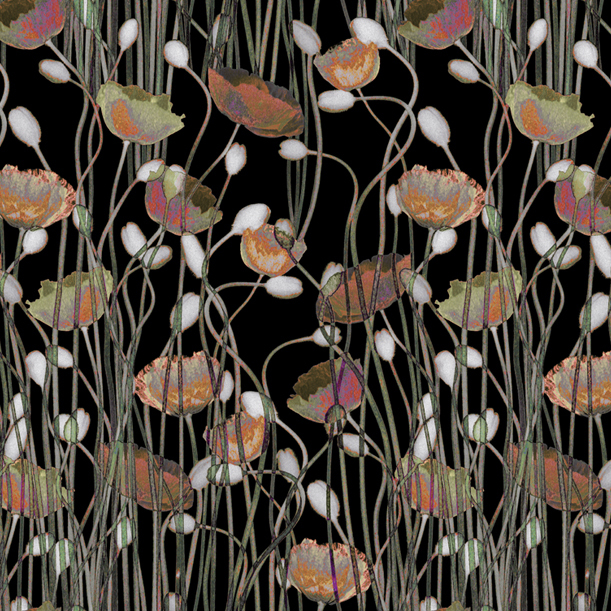 creating movement that simulates a field of poppies. Details: Supplied untrimmed with 2cm bleed each side for double cut installation. High UV resistance, durable, water repellent, REACH Standard compliant, contributes to LEED credits, recyclable.